Despite all the hype out there about social media, it still seems that most small businesses don’t really understand about search, SEO and the Web 2.0 mentality. Most people still believe that if you build a website, people will come and when they don’t, the business owner will jump on their bandwagon to denounce social media and how it doesn’t work. Now I love what I do. I love being able to explain to someone what social media is and what it can help you accomplish as part of your entire marketing strategy. So I smiled, took a deep breath and dove right in. Create a plan: As with any endeavor, you need to know where you’re going. You need to determine who your audience is, what your objectives are and come up with a strategy to put it all into place. Join the conversation: Advertising is no longer a one-way street. 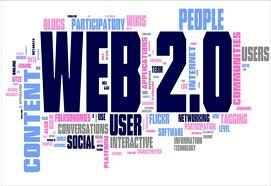 With Web 2.0, if you join the conversation, you will encourage others to do so as well. There are many ways to join in: blogging, tagging, bookmarking, commenting, sharing. And as with any good conversation, you must listen when others speak. Provide quality content: If you share good quality content — video, pictures, tutorials, you will be rewarded. Remember that Web 2.0 is not about the sales pitch. You need to be remarkable, be interesting and have something to offer your audience that they can then share with others. After I explained marketing in the age of Web 2.0, I really think my client understood what I was trying to say. We were then able to discuss the different social networks out there that could benefit his business and how getting involved in the conversation should not be feared but embraced. We ended the meeting on a great note, with a step-by-step social media plan in place to bring his business online and create more engagement and with his clients and hopefully more online visibility. He left the meeting happy – that is until next time when I try to explain marketing in the age of Web 3.0.